"Designing a space is more than an art... it's psychology and science!" 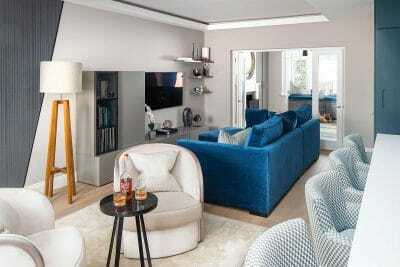 We are a West London Interior Design studio. We believe that interior and architecture should work naturally around the client and not vice versa. 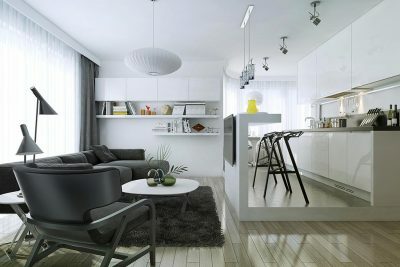 We recognize that each project is an individual expression of our client’s unique personality. Understanding your values and artistic preferences it is essential for us to create personalised interior designs that are comfortable, eco-friendly and reflect our modern lifestyles – the key to a better way of living in the future. For Cinzia design is art, psychology and biology together. This is why she has started Bio-Design, taking inspiration from Biomimicry. Our holistic approach of Design begins when we delve deep into the heart and soul of our clients to learn as much as we can about their personality, values and beliefs, which we can then express visually and creatively. We use design, lighting, sound and nature to create a place that works for you and your family, somewhere you can be at home and appreciate with all your five senses. We believe the result is a happier and healthier place to live. A place where you do more than simply exist, where you can create and savour lasting memories. 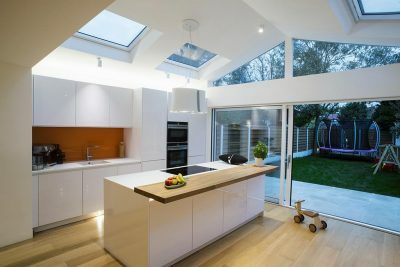 If you would like us to work with you to create a special home for you and your family, get in touch with us at Bio-Design today. 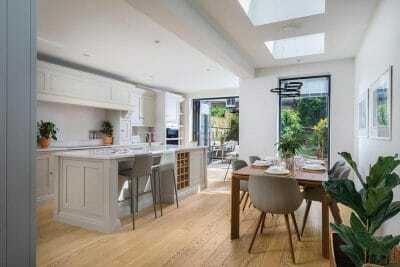 Jointly run by husband and wife team Michele and Cinzia Moretti and supported by a small team, the aim is to remain a small boutique interiors studio in West London so that the attention can be focused on the quality of the design projects and give the clients the attention they deserve. 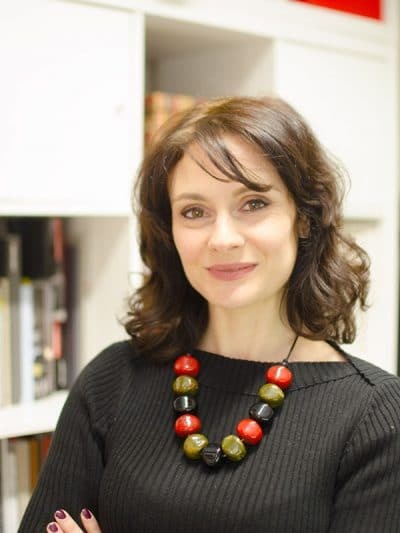 Cinzia holds a BA (Hons) in Design and Innovation and a Diploma in Interior Design. She started her career while still at college, where her talent was spotted during a famous world design fair, The Ideal Home Show. Cinzia has designed high-end interiors for over a decade in the UK and overseas. She is a registered member of the BIID where she is an assessor and mentor and a tutor of the international British Academy of Interior Design. 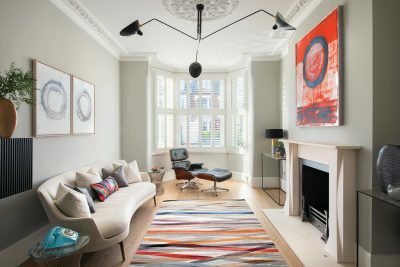 Her approach to design is very distinctive, she uses environmental psychology and colour psychology to help clients to design their dream home. Michele is specialised in lighting and holds the LET Lighting educational Trust Diploma. He also holds a BSc in Engineering and a Master in Technology and Communication. He has always been passionate about how technology is used in homes and has worked for many years in project management for big companies. Michele lived in Milan for 10 years, where he became involved in the design world. There, he was surrounded by furniture designers and he grew passionate about furniture and product design. Since joining Moretti Interior Design, Michele has been specialising in making bespoke furniture and creating stunning design effects with lighting. Ilaria holds a post graduate Diploma in Interior Design, a Master in fashion and BA in Media. She oversees the smooth running of the projects. She is very precise and attentive to the finer details and with a big passion for design. She joined the team 2 years ago and since then she has brought creativity and enthusiasm in the studio. Max is a versatile artist, and has been a professional designer for a number of years. From an early age he pursued his passion for various art forms, always ready to surprise with his extraordinary works with a touch of the unordinary and originality. He is always looking for new materials and techniques he can use to create bespoke designs that make the client’s home stand out.